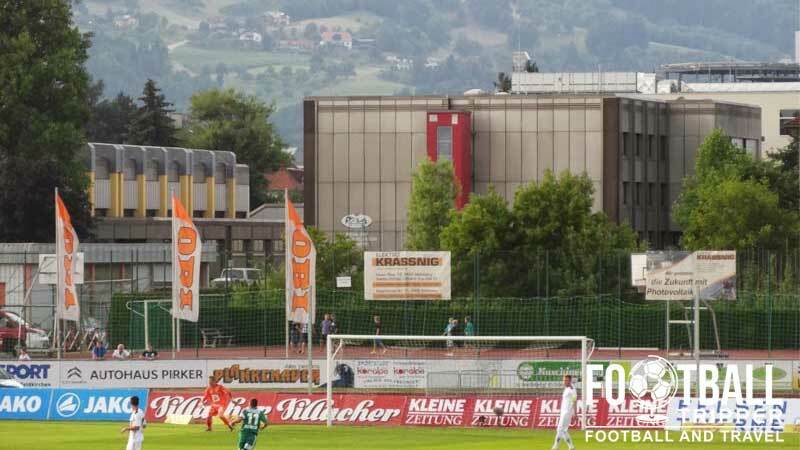 Lavanttal-Arena is a 1984 built football stadium located in Wolfsberg, Southern Austria. Recently renovated in 2012, Sportstadion Wolfsberg’s capacity increased from 6,500 to 7,300 and is home to local team Wolfsberger AC who entered the Bundesliga for the first time in their history in the 2012-2013 season. 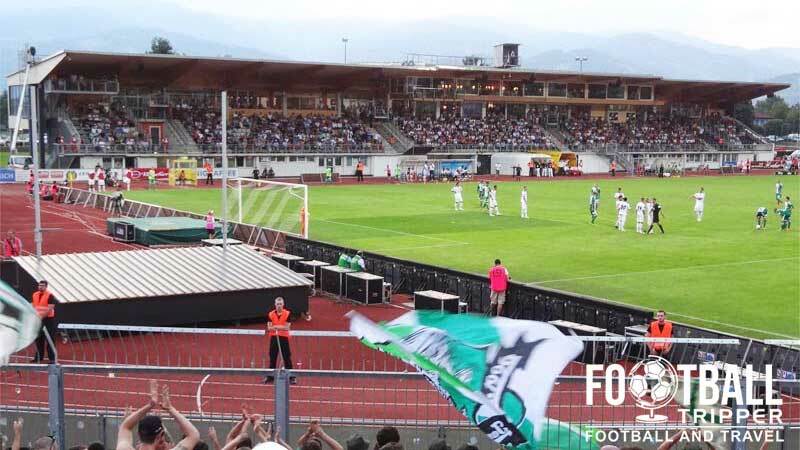 The Lavanttal-Arena which translates as the “Lavant Valley Arena” is the home ground of Wolfsberger AC who are based out of the small Austrian town of Wolfsberg in Carinthia and not to be confused with the German team VFL Wolfsburg. With the population of the small town not exceeding 25,000 people there is a small fan base for the team and it should perhaps be unsurprising that the stadium’s capacity upon opening in 1984 was just 6,500. Perhaps even more unsurprising however is the fact that this figure didn’t increase over a period just under 30 years. Indeed, if it wasn’t for the club’s ascent to the top flight of Austrian Football in the 2011-2012 season after being crowned Champions of Austrian First League, the club wouldn’t have been in the necessary financial position to complete the modest extension which saw the addition of 800 seats, bringing today’s capacity up to a respectable 7,300 which is comparable to the stadiums in England’s League Two division. The renovations which cost a reported 2.5 million euros saw a roof added to the grandstand and expansion of the terrace area with the current breakdown of the Lavanttal Arena being approximately 3,000 seats and 4,300 standing spots with 3,300 of these coming with cover, meaning these fans are protected from the rain like you would be if you were seating. The stadium is sometimes still referred to as the Sportstadion Wolfsberg and it is a truly a remarkable story that after playing football for the 20 years in the second division, Wolfsberger’s ground finally gets to host matches of the top flight of Austrian football against the likes of SK Rapid Wien and FC Red Bull Salzburg. Lavanttal Arena is comprised of the four stands: North, East, South and West. Away fans are housed within the eastern side of the Curva Sud corner within a stand which runs for approximately half of the pitch as per the above seating plan. Whilst there appears to be a fan shop at the stadium there’s nothing to suggest on the club’s official website that it operates beyond matchdays. Instead you could check out merchandise via the Wolfsberger Online Store. Commonly known as Wolfsberger AC the team’s full name is Riegler & Zechmeister Pellets Wolfsberger Athletik Club. No stadium tours are currently available of the facilities at Lavantall-Arena however should this ever change we’ll be sure to update this section. 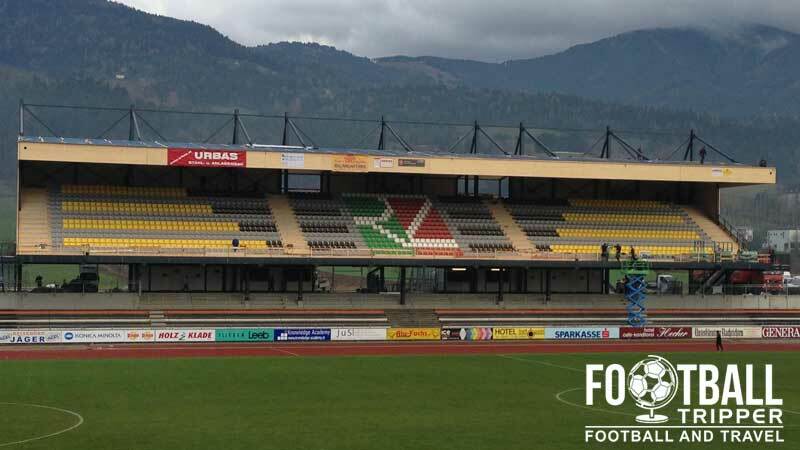 Tickets to see Wolfsberger AC play at home can either be purchased online from the official website or from the stadium’s box office before kick-off on matchdays. 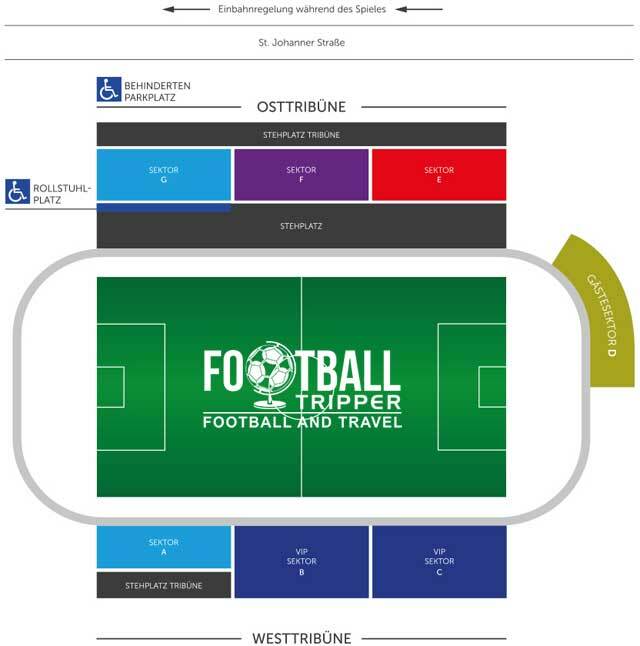 The cheapest tickets behind the goal will generally set you back €15.00 and a seat within the two tribunes is around €22.00. The Lavanttal-Arena is located approximately 1.9 km south of Wolfsberg city centre between the districts of Reding and St. Johann. On matchdays most Football Trippers will be able to walk to the ground in just under 25 minutes which is quite convenient. A limited number of parking spaces are directly available at Levanttal Arena with the club operating a Shuttle Bus Service from the car park located the OBI Retail Park. Less than 500 metres west of the ground there is the “Wolfsberg in Ktn Reding” station which is served by trains from the city centre where the central railway station is located. South-west of the ground on the corner of Don-Bosco-Weg and Grafenhofweg there is the “Wolfsberg in Ktn Kindergarten Gries” bus stop. Wolfsberg Airport is for private aviation purposes only which means that Klagenfurt Airport 60 km west is the closest major place to fly in and out from. All of Wolfsberg’s accommodation options can be found within the Schleifen area which is essentially the centre of town where the station is situated. The three most popular choices are Hotel Hecher (4 stars), Hotel zum Landrichter and Hotel Gasthof Torwirt (3 stars).